Conservatories have a huge variance in temperature compared to the rest of your home and therefore tiles are perfect if you are building or re-flooring a conservatory. 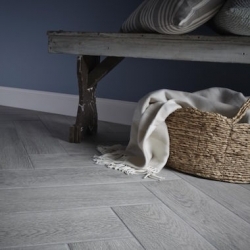 As well as providing a modern finish to your home you can give a rustic or modern look and they work well in large open spaces. 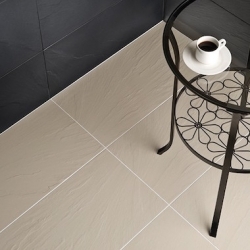 Tiles will keep your conservatory cool in the hot summer months and you can choose a porcelain tile to work with the addition of underfloor heating to heat up your conservatory at night or in the winter months. 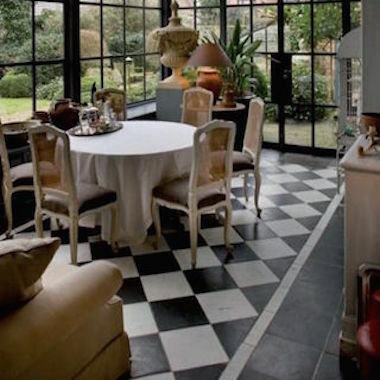 Conservatory floor tiles are typically hardwearing and, whether ceramic or porcelain tiles, they are easy to clean - great for if you are regularly in and out of the patio doors to the garden!